I met with Jocelyn Patterson at Diangelo’s on Front Street one afternoon. We stopped in and had a delicious salad and some of their bruschetta (one of my personal favorites). We spent about an hour talking and, of course, that meant I had to come home and write about my time with her. “You know I left when I was fourteen years old and moved to New York,” she said of her youth. “What was in New York?” I asked. Sheldon Butts had suggested we meet. 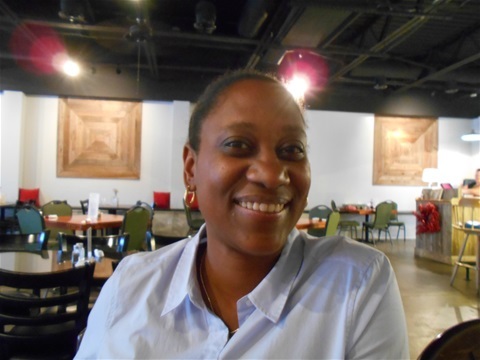 He thought I would find her to be an interesting person to write about because he felt she added to the community of Georgetown. So naturally, I had to ask the follow up question as to why she came back to Georgetown. Jocelyn explained that her grandmother had passed away and in doing so, left her everything. “That is such a sad reason to return,” I commented. We talked about Sheldon Butts, we talked about some of her family, and we talked about her career. Jocelyn shared with me that her grandmother taught her to find what she loved to do and to have a job doing it. She loves shoes. “I even sold shoes online for a while,” she admitted. “Shoes?” I said quite surprised. “Well, I went to different places and learned from different people,” she explained. “At the time of my grandmother’s passing, I was all set to move to Milan, Italy. I had already shipped things over there to where I would be staying. I did live there for about six months before finally moving back to Georgetown. 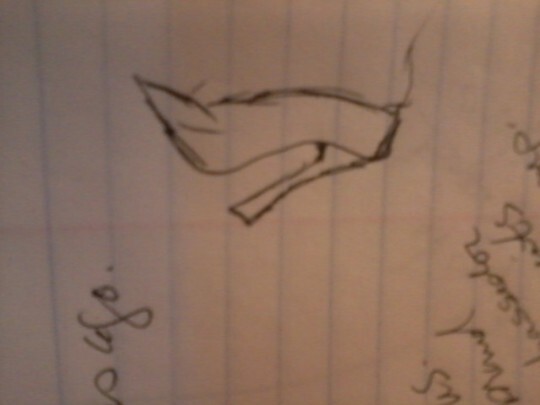 We even drew pictures of shoes on my notepad. Her picture was far more artistic than mine. “What is a U.S. Brand Ambassador?” I had no idea what that was. The question was begging to be asked. “There are companies overseas who don’t sell in the United States and a U.S. Brand Ambassador helps those companies to be able to do that,” she answered. Jocelyn explained the design of her prototype, which is a weave or Gullah style. She’s trying to stay with an African theme. She compared it to the Gullah basket weaving I’ve seen. That does sound like a very beautiful design and I’m anxious to see her work completed (to buy my daughter a pair of shoes). In addition to the shoes, and since returning to her hometown, Jocelyn has started “Georgetown Women Who Brunch.” I love this concept and I do believe it will do really well here. “Tell me a little something about it,” I encouraged. “How do you do that though?” I asked as I took some notes. Jocelyn told me to find her and Georgetown Women Who Brunch I simply go to Event Brite and search by city and state (Georgetown, SC) and her events will come up. Sheldon was right; Jocelyn Patterson is truly an amazing woman. I’m glad she’s returned to Georgetown because she has some wonderfully innovative ideas that will help our town and community grow. Welcome home Jocelyn!